Since starting work at Weston Hospicecare around two months ago, I’ve heard a lot about Expressive Movement Therapy, a group that is offered as part of our Day Services. 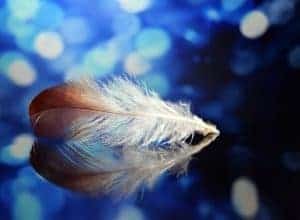 Everything I’ve heard has been positive, and I was certainly curious to find out more about it, so when the opportunity came up to attend a taster session run by Sarah Woolf, Dance Movement Psychotherapist, I went along. Sarah explained that Expressive Movement Therapy is a form of creative arts therapy that gives patients the chance to share with others and express themselves in their own way. That could be through gentle movement, the use of props, music, and even through laughter. When dealing with a life-limiting illness, often words aren’t enough to adequately express all we feel. When someone asks how you are, you can explain your general health, or maybe what treatment you’re undergoing, but how do you express the emotions you’re feeling regarding your loss of movement, maybe, or your breathlessness? The therapy group offers a safe space to explore all of this and more. We began the session seated in a circle; the shape is equal and inclusive. The group maintains confidentiality, and you are free to participate as much or as little as you wish. We each expressed how we were feeling; in our session we did this by selecting a bead from a box that we felt best represented our thoughts, but this might also be done in other ways, using other items. From there, Sarah led us all in a gentle warm-up to some relaxing music. Again, we were under no pressure to join in, but I found that people gradually started taking part. Sarah encouraged us to become aware of our hands; how they feel, how they’re moving. We gradually moved around the body, focusing on our breathing, our head, our feet, and so on. Because the sessions are patient-led, each one is different according to the wishes of the group. After the warm-up, we all felt like changing the music to something a bit more ‘bouncy,’ and we selected balls as our props. The mood changed; we all became fun and playful as we threw large soft balls to one another, and there was a lot of laughter. It felt freeing, relaxing, and it was very reminiscent of my childhood. After, as we discussed the session, I became aware of how long it’s been since I’ve played like that. I wondered aloud when it is that we, as adults, lose that sense of freedom. It was wonderful to escape, to have the ability, and the safe space, to express a range of thoughts and feelings. I can imagine how freeing and uplifting an Expressive Movement Therapy session must be when dealing with the many thoughts and feelings that having a life-limiting condition brings. Sarah has done a case study on the role that these therapy sessions can play in palliative care, and it really highlights just how important the group is in allowing patients to express their feelings. Using creative ways, Sarah found that patients managed to express feelings relating to physical pain, breathlessness, sleeplessness, loss of mobility, depression, anxiety, frustration and much more. In fact, Sarah’s thesis was entitled ‘This is Me Completely,’ a quote from one of the participants in the study. Sarah’s core findings were that EMT enabled people to reconnect with their ill bodies to find ways of expressing themselves as a complete, integrated person. All participants in the study appeared to feel dis-integrated as a result of their bodies letting them down, owing to their illness. EMT gave them the chance to feel a sense of completion and expression that otherwise would not have been available to them. Weston Hospicecare is proud to offer such a unique and creative form of therapy. 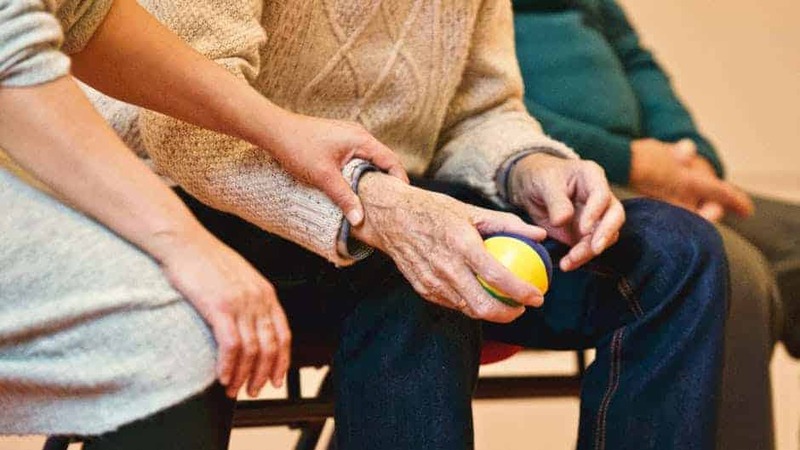 Anyone wishing to find out more, or who thinks they or a loved one might benefit from Expressive Movement Therapy, should speak with their Hospice Community Nurse Specialist, or contact Alison Bailey at the Wellbeing Centre on 01934 423 900. Hospice Care Week 2017: Variety is the Spice of Life- Volunteer for us! Hospice Care Week 2017: Fashionable Frocks and Brilliant Books; Retail Rocks!